Are you looking for affordable air quality management services? Clean Air Services is the ultimate solution for you which will cater to all your needs precisely. 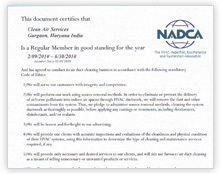 At Clean Air Services, we possess all the latest techniques which are combined with state of art mechanism. 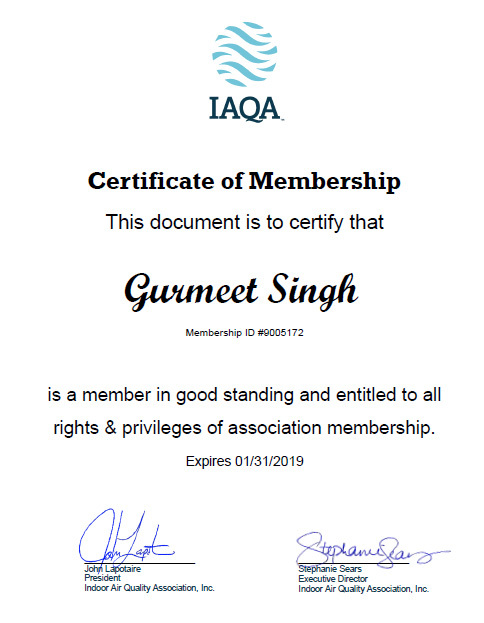 This air quality risk management company is equipped with advanced tools to deliver best, custom and well-tailored services. Our team of professionals comprises of air hygienists, duct cleaning and air filtration technicians along with building service engineers. These experts have a rich flair which helps them in producing timely and effective output. 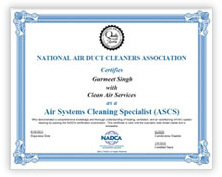 Customized results are offered by Clean Air Services. 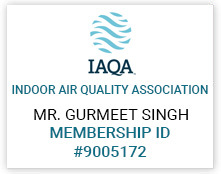 Being certified by the quality certifications, NADCA, OHSAS, IAQA & ISO 9001:2008 - the organization is worth relying on for air quality management services. Duct cleaning and all the necessary tasks are dealt with utmost professional approach by our proficient technicians. Our staff members upgraded skills and expertise with respect to air cleaning system makes them at their work. Choose Clean Air Services and manage your air quality system in a cost-effective manner. 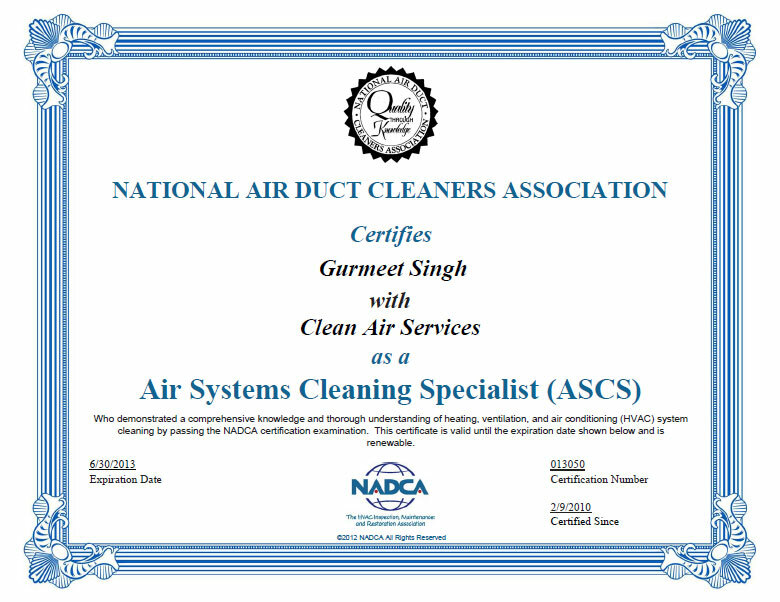 We provide duct cleaning services all over India i.e. Gurugram (Gurgaon), Delhi, Bangalore, Mumbai, Pune, Hyderabad, Chennai etc. 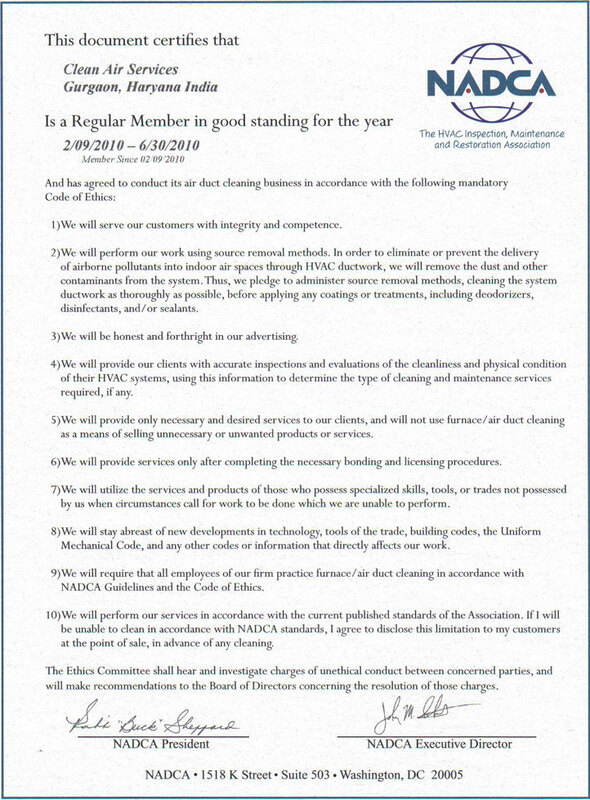 Copyright © Clean Air Services, 2005 - 2019.